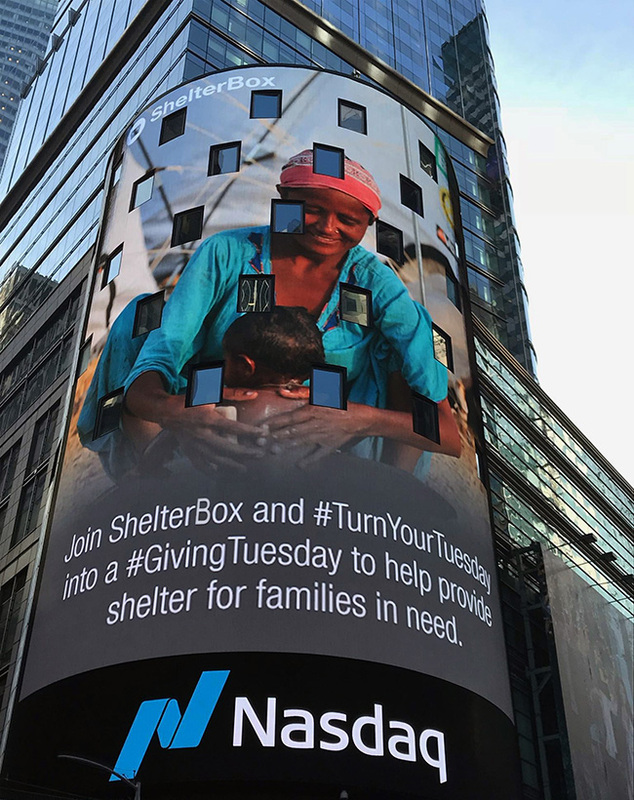 ShelterBox USA President Kerri Murray was part of the Opening Bell Ceremony on Nov. 28 at the Nasdaq MarketSite in New York City’s Times Square as part of #GivingTuesday, an annual global day of giving which began in 2012 as a response to the consumerism of Black Friday and Cyber Monday. A Santa Barbara, Calif. and Sarasota, Fla.-based international disaster relief organization, ShelterBox USA was invited to attend because the nonprofit is one of many charities helping global communities get back on their feet after an unprecedented year of disasters. 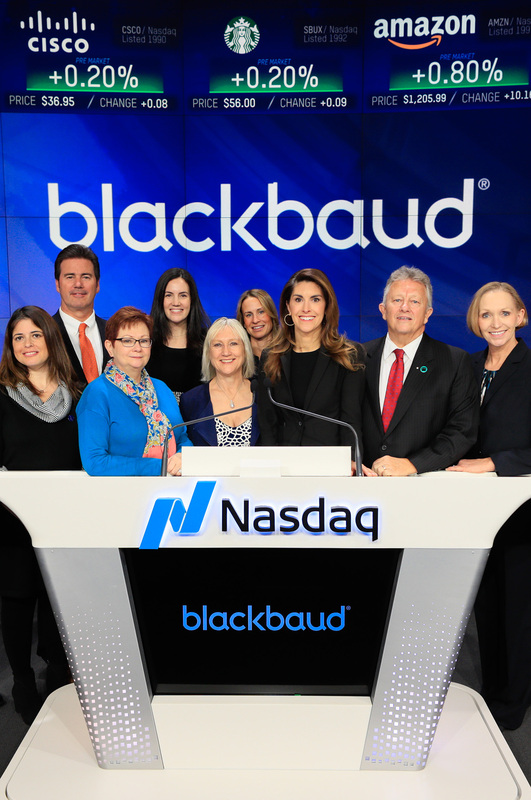 Murray joined representatives from Blackbaud, a cloud software company offering products designed for nonprofits, as well as other charities, including World Vision, 92nd Street Y, Catholic Charities USA, American Red Cross, Orbis, Houston SPCA and more. “We are honored to be among the featured charities to take part in this #GivingTuesday ceremony,” said Murray. 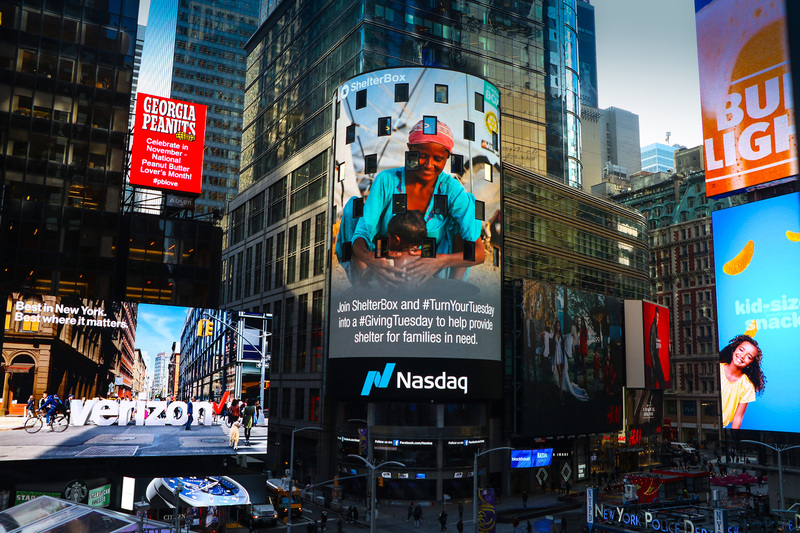 Our work to provide shelter to families displaced by natural disasters and civil conflicts is made possible by individuals and corporations who are moved to help others in need, including this year’s #GivingTuesday participants. 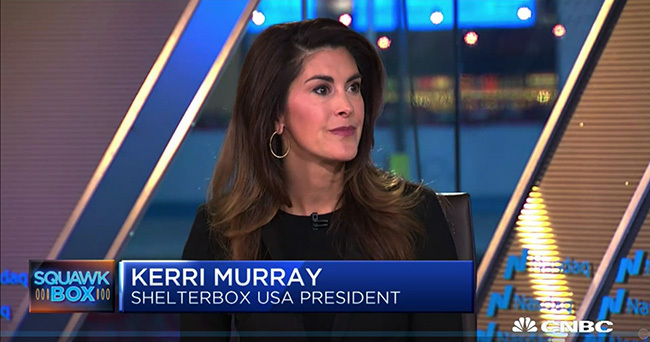 Before the Nasdaq bell ceremony, Murray was interviewed on CNBC’s show Squawk Box, highlighting the many ways people can contribute this holiday season. 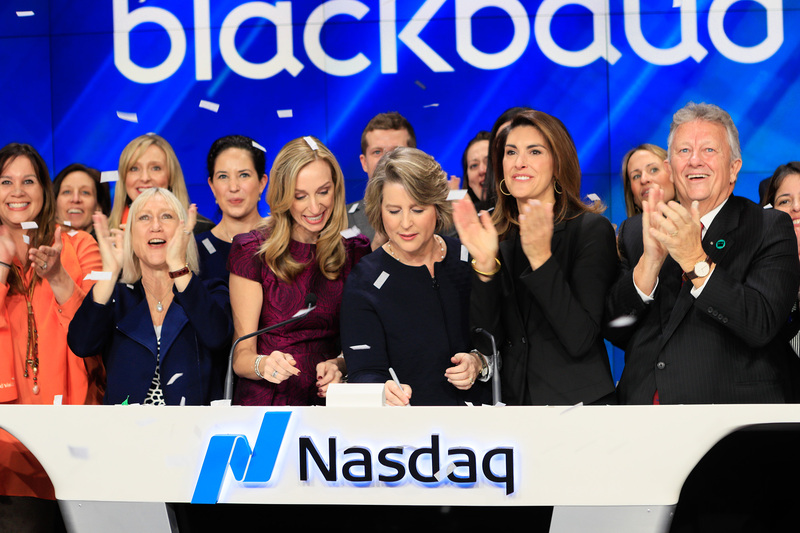 Following the opening bell ceremony, Murray participated on Nasdaq’s Facebook LIVE panel on volunteering after disasters and disaster giving.